That last line seems to me to be an accurate description of awe. It’s how I felt when the two-tailed swallowtail pictured above let me approach so close to it in my Texas hill country garden after a September rain that I could take its photo without using any “zoom” at all. 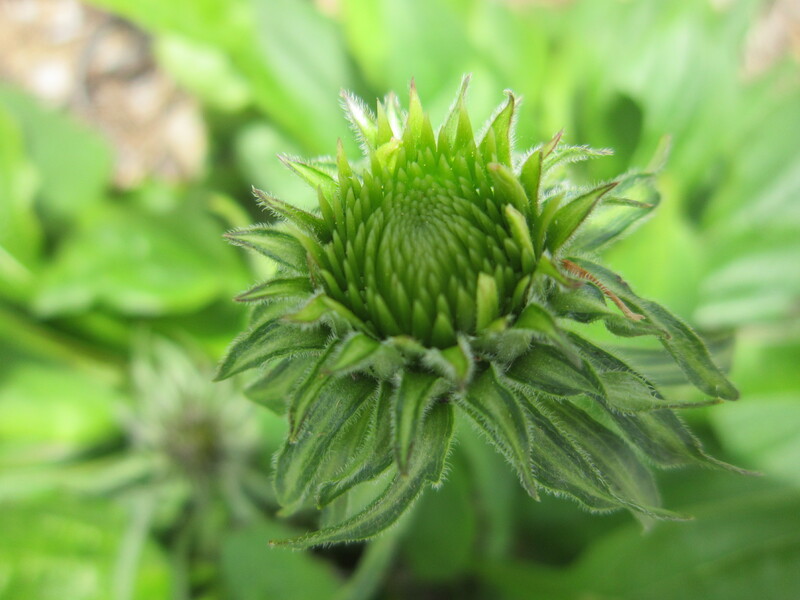 It can also accurately describe how I feel today while anticipating the opening of new blooms–seasonal miracles–on the same perennial purple coneflower plants this spring. 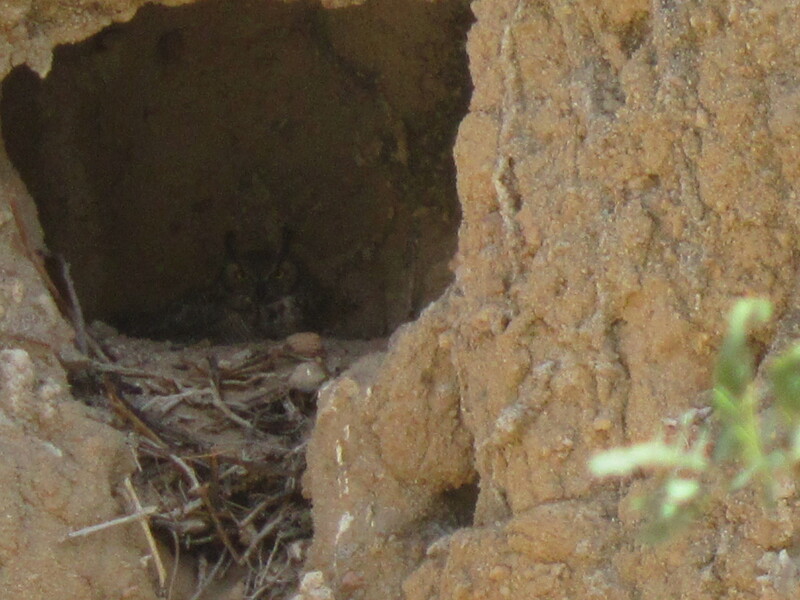 I’m pretty sure it’s how my friend Kate felt when she and her husband spied this great horned owl nesting in the sandy bluff of an arroyo in Baja California. I know it’s how I felt when Kate showed her to me in late February. I was moved by the owl’s stillness as she protected her eggs, by her intense awareness of me as I kept my distance and relied on the zoom lens. Additionally, I was moved by Kate’s generosity and trust in showing me this fiercely gorgeous bird. She knew that I would “get it.” And I was thrilled to hear by e-mail that the eggs had hatched into owlets after we left Baja in mid-March. Being able to share such moments with someone else enriches our own experience. Knowing we all get the same goosebumps underscores our own joy, validates our own feelings of wonder, and reminds us of the common connections we have. And the sharing makes me doubly feel as though I’ve gotten something I might not deserve. Describe a time when someone showed you or described to you something that gave you goosebumps. What gives you the feeling of insignificance? Does it make you feel as though you’ve received a gift? This entry was posted in Baja, birds, butterflies, flowers, gratitude, ordinary miracles, Texas hill country, thankfulness. Bookmark the permalink. I love this, it is a feeling I often have when being a gift of beauty and wonder. I better proof read my replies….I meant to say …I love this, it is a feeling I often have when being given a gift of beauty and wonder. Actually, Judy, you often ARE a gift of beauty and wonder! Thank you for reading and “getting it” also. I am so grateful for your friendship.